Andy rallies the troops in front of the Metchosin District Office to send them off on the MycoBlitz forzys. Photo by James Hollko. 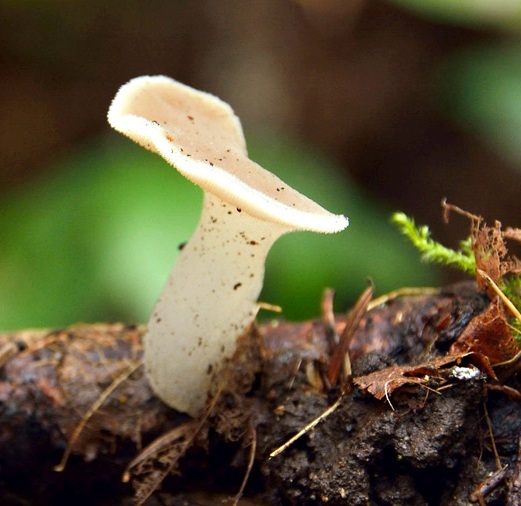 On November 8 and 9, 2013, the Metchosin Biodiversity Project sponsored a MycoBlitz in Metchosin in order to add to our species inventories the fall mushrooms that we miss in our spring BioBlitzes. The event was a huge success. A large, standing-room-only crowd turned out on Friday night to hear the speaker, Britt Bunyard, give a talk on "From Aflatoxins to Zombies: the Weird Weird Weird Fungal World." After the talk guests adjourned to Andy and Mairi MacKinnon's house for a wine and cheese and wild mushroom social. Mushrooms found at the MycoBlitz, laid out on a table at Pearson College for viewing and identification. Photo by James Hollko. The searchers found abundant speciments of the Toothed Jelly Fungus, Pseudohydnum gelatinosum. Andy calls this one the "Spirit Gummy Bear." Photo by James Hollko. 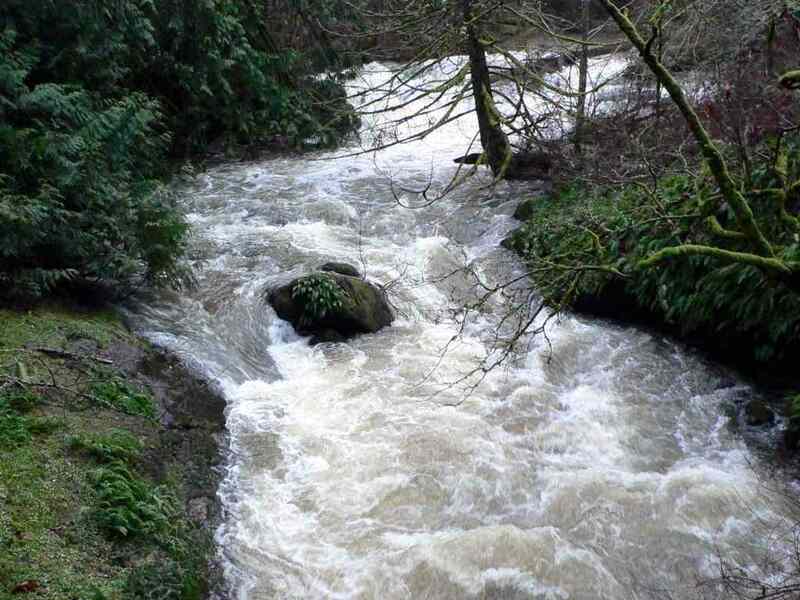 On Saturday, November 9, four mycologists – Adolf and Oluna Ceska, Britt Bunyard, and Andy MacKinnon -- were on hand to lead some sixty searchers to Metchosin locations to collect mushrooms for identification. Searchers included Metchosin residents, members of the Southern Vancouver Island Mycological Society, and Pearson students. 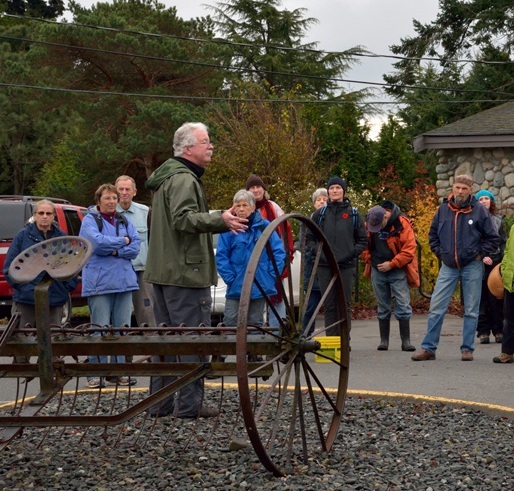 The Mycoblitz began at the parking lot of the Metchosin Municipal Hall and teams travelled to Pearson College lands, Camosun College's Van der Meer nature preserve, and the YMCA's Camp Thunderbird. 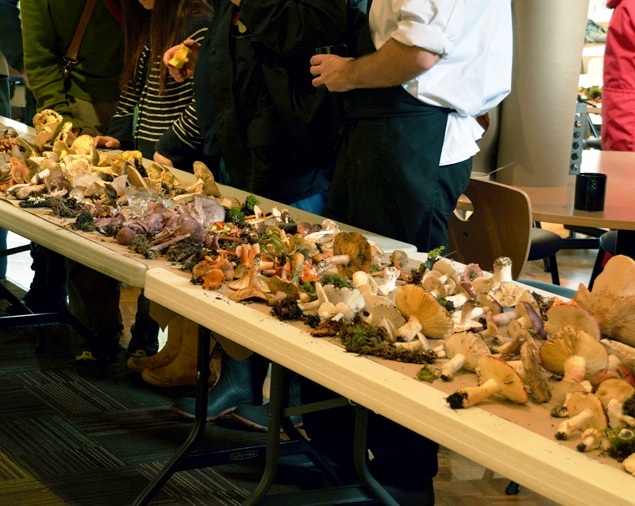 The teams brought their mushrooms to Pearson College at 12:30 pm and began to lay out speciments on tables in the cafeteria. While students came by to watch, experts catalogued the mushrooms for our Metchosin species inventory. 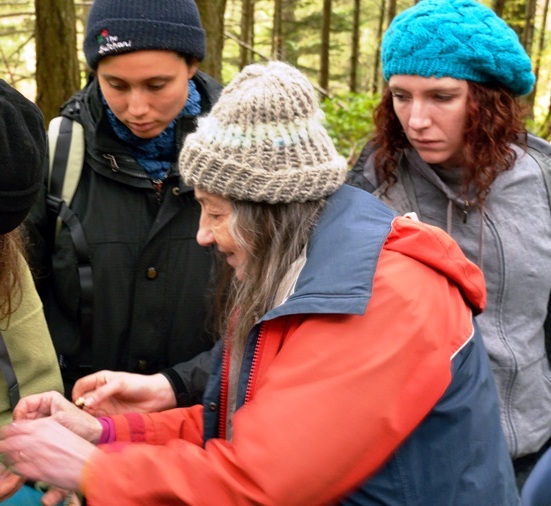 Oluna Ceska helps some of the searchers identify a mushroom at the 2013 Metchosin MycoBlitz. Photo by James Hollko. 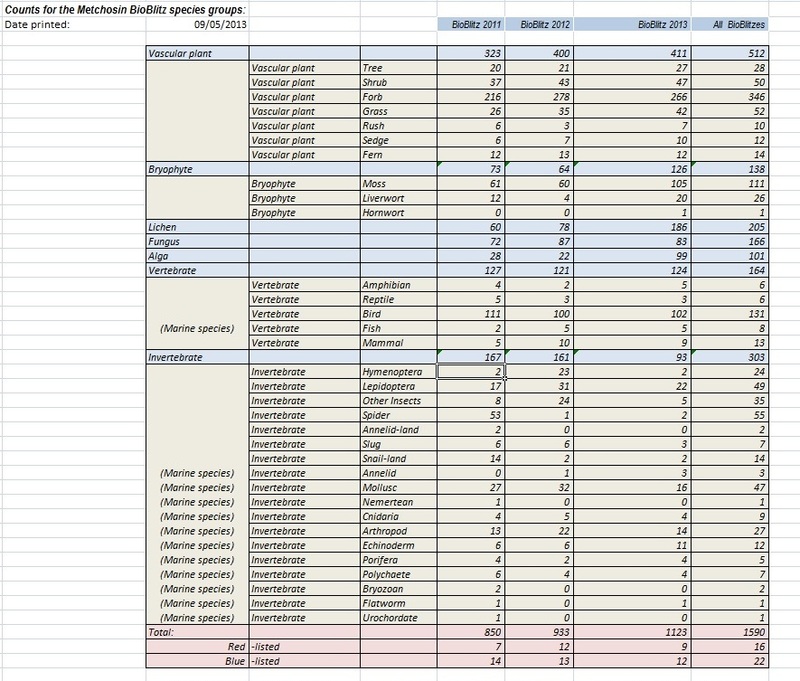 A big thanks to everyone who helped with the 2013 MycoBlitz. For a large array of pictures from the MycoBlitz, see the page on the blitz by photographer and naturalist James Hollko.